Welcome back! 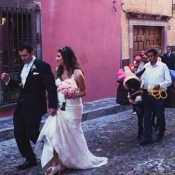 We are so pumped to be able to share today’s wedding with you!! 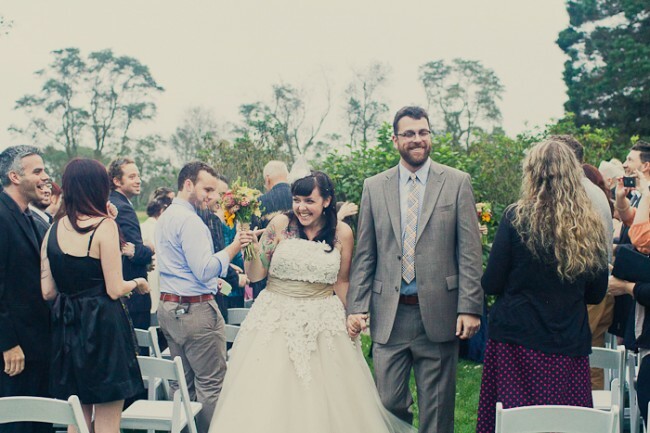 We L-O-V-E the bride’s dress (if you could see us we have an intensely excited look on our face, with hands gripped and slightly shaking from all the swoon-worthiness of her attire). 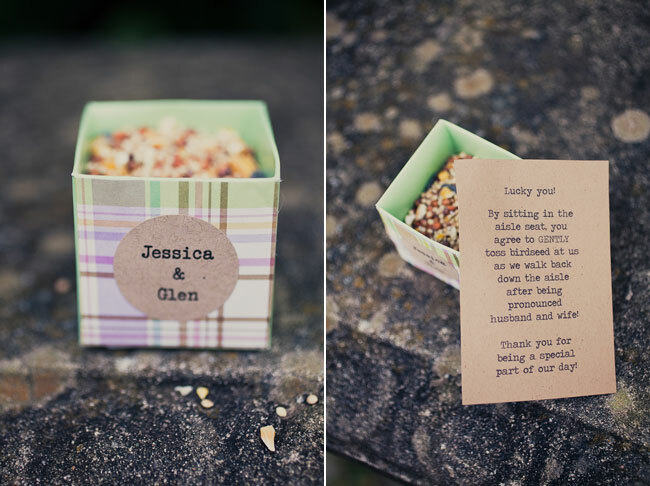 This Rhode Island farm wedding was shot by the fabulous Rebecca Arthurs Photography. 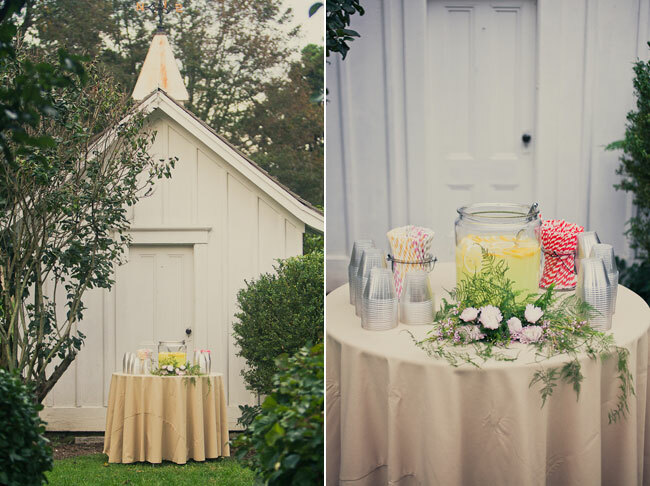 It is down-to-earth, intimate, and full of fun details! 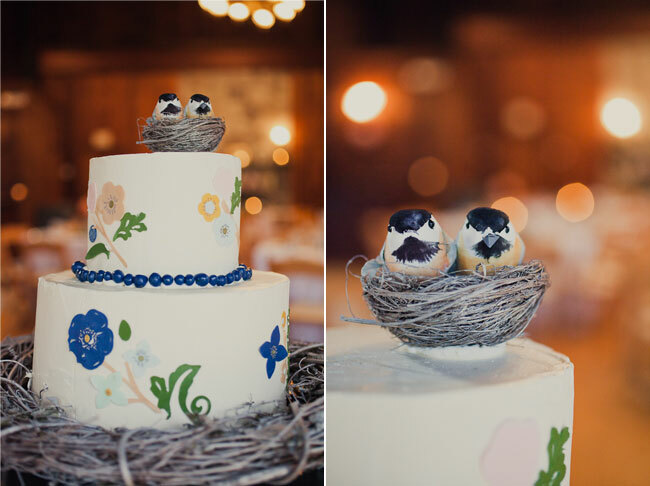 I love unique cake toppers like the one below of two birds in a real bird nest. 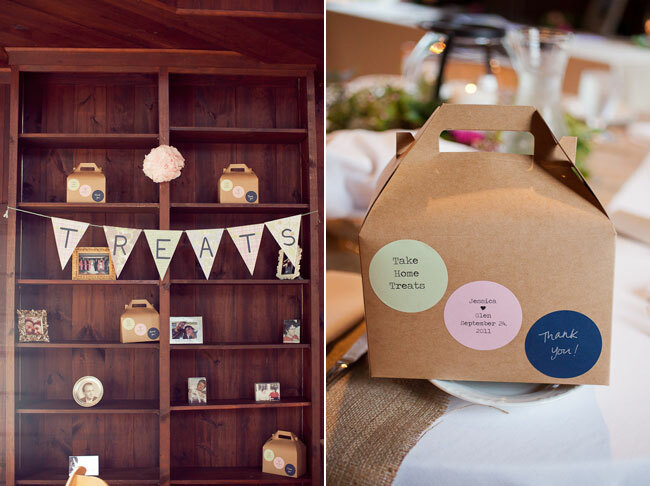 These type of details at a wedding really add to the final look and feel of the entire event. What terrific details! 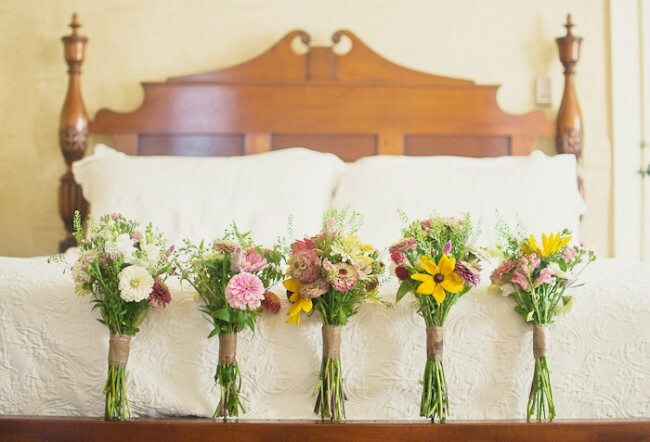 The bouquets along the bed are lovely and the bride is just too cool. 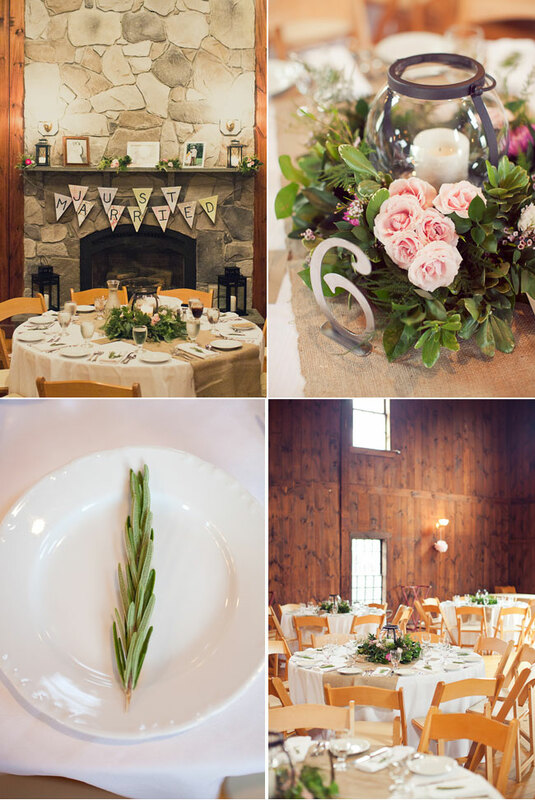 What a lovely wedding–loved the simple, beautiful flowers and gorgeous dress! 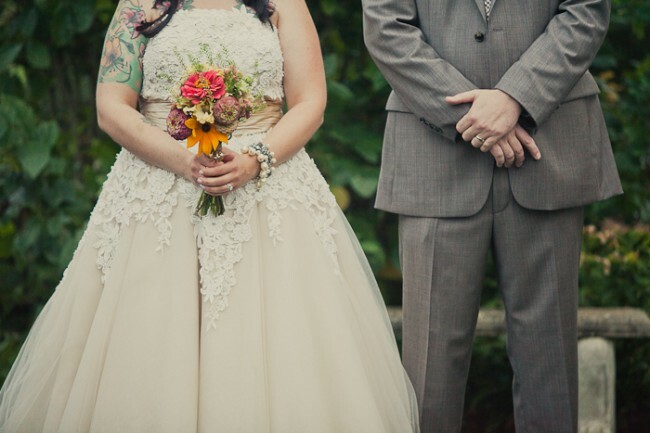 I love the wildflower look of the bouquets! So pretty! Holy gorgeous, I’m in love! That dress really is stunning! 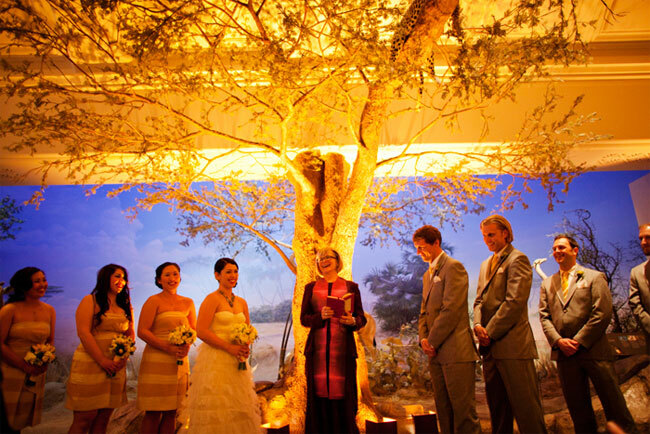 Ooooh what a delightful wedding! I love it all but especially her dress. It’s just perfect!